Rebecca Wang is passionate about all art forms and proudly supports numerous organizations dedicated to encouraging creativity, innovation, and the Arts. She has also committed her efforts to organizations which use the Arts to bring attention to humanitarian causes. Such charities to which Wang is devoted include: the British Academy of Film and Television (BAFTA), The Prince’s Drawing School, the British Red Cross, the Royal Society for the Prevention of Cruelty to Animals (RSPCA), the Elton John AIDS Foundation (EJAF), the American Foundation for AIDS Research (amfAR), and Catholic Charities of Northeast Kansas. Through her continual support for such organizations Wang has become recognized for her commitment and generosity to the Arts and humanitarian causes. The aim of the Prince’s Drawing School is to raise the standard and profile of drawing through teaching and practise. It is one of only a few institutions in the world offering in-depth, quality tuition for those who wish to develop their observational drawing skills. Founded by HRH The Prince of Wales, the school provides art instruction to anyone wishing to learn to draw, regardless of background, through a range of affordable programmes with flexible schedules and locations. The Elton John AIDS Foundation (EJAF) was established in the United States in 1992 by Sir Elton John. EJAF's U.S. office is located in New York City. 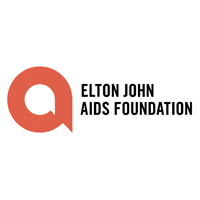 In 1993, Sir Elton also established the Elton John AIDS Foundation (EJAF-UK) in the United Kingdom, headquartered in London. These two organizations function as separate entities with their own distinct grant-making portfolios, but both pursue similar missions - to support innovative HIV prevention programs, efforts to eliminate stigma and discrimination associated with HIV/AIDS, and direct care and support services for people living with HIV/AIDS. They enable vulnerable people at home and overseas to prepare for and respond to emergencies in their own communities. And when the crisis is over, they help people recover and move on with their lives. The Royal Society for the Prevention of Cruelty to Animals (RSPCA) is a charity operating in England and Wales that promotes animal welfare. In 2012, the RSPCA investigated 150,833 cruelty complaints. It is the oldest and largest animal welfare organisation in the world and is one of the largest charities in the UK. Founded in 1956, Catholic Charities of Northeast Kansas provides a wide range of programs and services to those in need in our 21 county service area. We believe in offering our neighbors in need a hand up, not a hand out by giving them the help and resources needed for long-term change. As a faith-based organization, we are inspired by God's love and compassion to provide unconditional love and necessary help to people of all faiths by stabilizing and strengthening individuals and families in need across the 21 counties of Northeast Kansas.